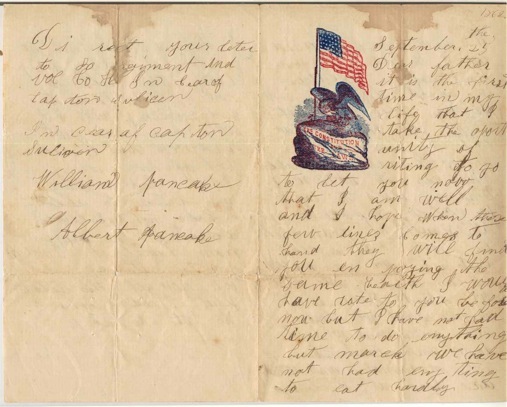 Below is the scan of a letter from Private Albert Pancake, 80th Indiana Infantry, Company H, to his father William Pancake residing in Pike County, Indiana, dated September 25, 1862. 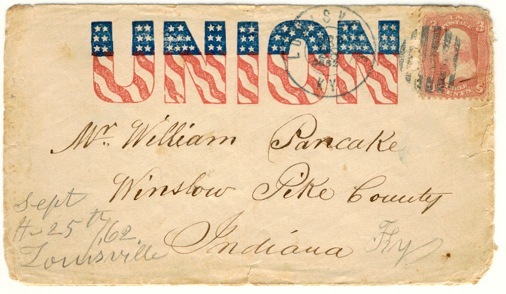 Private Pancake had shipped out from Camp Gibson, Indiana, just two weeks prior and was writing to his father for the first time in his life. Included below is a scan of the envelope the letter was sent in. Albert's first letter was short. No doubt writing letters was an unfamiliar activity for Albert and it would take him some time to figure out what he should write and what was of interest to his family. 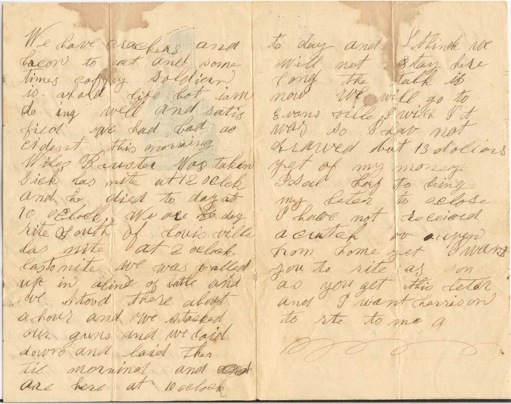 This is the first of many posts leading up to the publication of the complete archive of Civil War letters written by Private (eventually Sergeant) Pancake to his relatives in Pike County.